Wow! These are so easy and so darn delicious! Your teenage daughter could even make them! Don’t they look delicious! Be sure to prepare ahead and bake your potatoes. Oh my gosh. I ate this a couple of hours ago and now I am wanting to do it again. Something tells me that I better not. Maybe it is the way my workout pants are fitting! Add butter to large skillet on ever medium low heat. Add eggs and cook until set, flip and cook another 30 second or so. 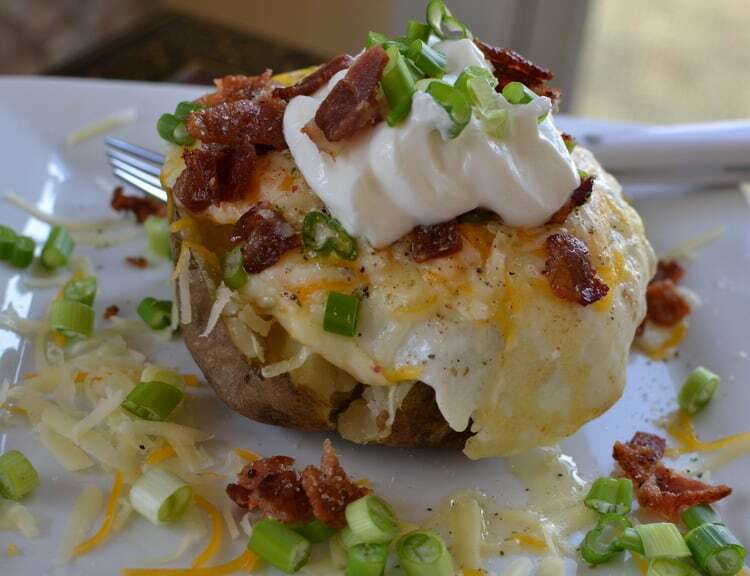 Split baked potatoes while hot. 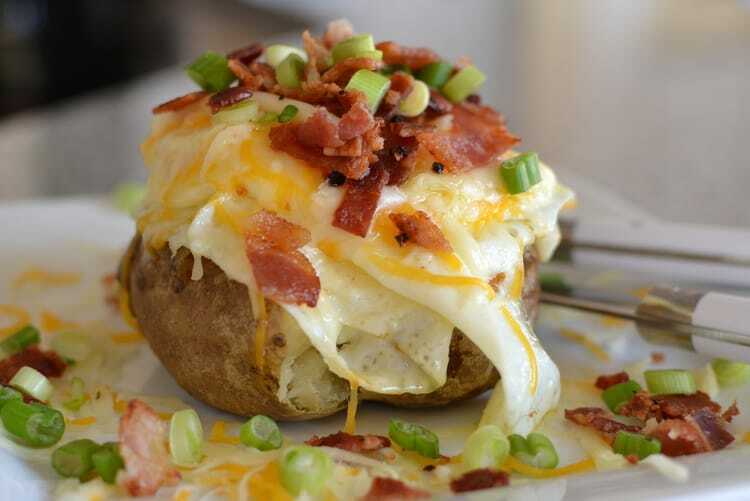 Add one egg per potato, top with 1/4 cup of the cheeses mixed, and 1/4 of the bacon and green onions. Top with sour cream or yogurt and salt & pepper. 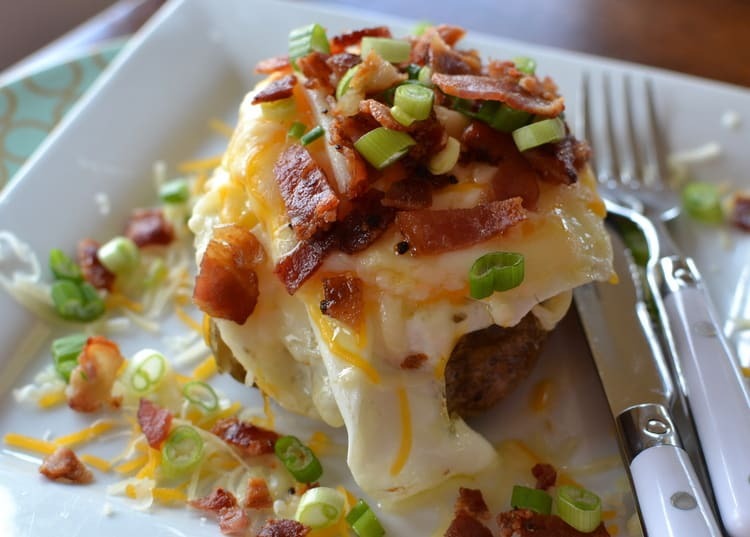 My husband and I love two eggs on our potato but this recipe is written for one egg per potato. Great idea. Thanks for the reminder!!! How long to bake in crock pot please? My teenage SON is better…and ALL the GIRLS like helping him! He cooks they clean!! That is marvelous! I love it!